If there’s anything people love more than a beach, it’s a beach bar. Sea views, pink drinks with little paper umbrellas, a band playing “Margaritaville”—what’s not to love? Florida beach bar aficionados even have a website all their own—Floridabeachbar.com, which conducts an annual contest that just named our own Sharky’s on the Pier the very best beach bar in Florida. This is a repeat performance: Sharky’s won the contest in 2013 and was one of the top vote-getters in 2014, 2015, 2016 and 2017. According to the site, people voted in “record” numbers this year. Other top bars included No. 2, Jimmy B’s Beach Bar in St. Pete Beach, the Golden Lion Café in Flagler Beach and Bongo’s Beach Bar and Grill in St. Pete Beach. But local voters consider Sharky’s in a class all its own. 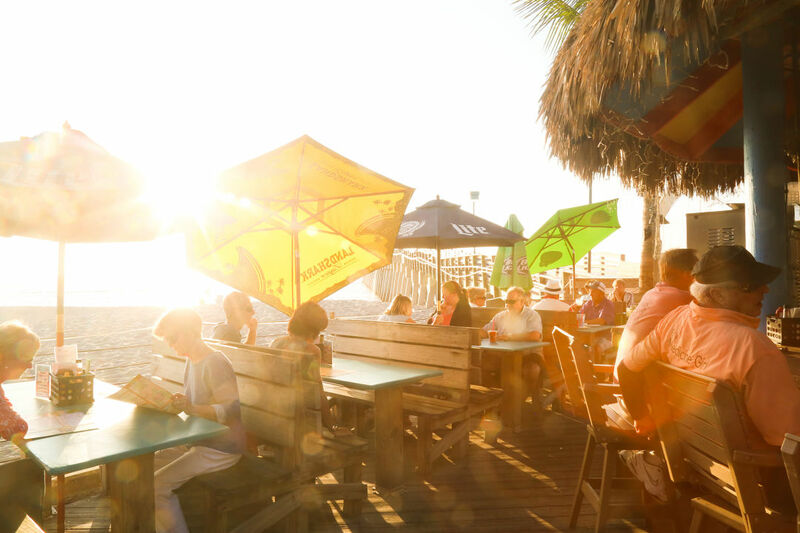 Some beachfront watering holes can seem a bit seedy or edgy, but Sharky’s has a small-town, friendly vibe; you’ll see seniors, families with kids and young couples sharing the big outdoor space, dancing to the band and and enjoying a technicolor sunset. It also has the Venice Pier, a great place to stroll out over the Gulf and watch fishermen haul in their catches, and an upscale restaurant, Fins, just upstairs. Tickets are $5, and the event will benefit Venice Area Beautification Inc. and Mote Marine Laboratory. Info: (941) 488-1456 or visit sharkysonthepier.com.